For time management, whether personal or professional, a useful calendar app can be very handy on your iPhone. If you don’t want to miss an appointment, a social gathering or your friend’s birthday, or even just don’t want to forget to do something very important, a good calendar app can help remind you of anything. But what is a good calendar app for iPhone? A good calendar app should be able to have extra features that will help you note your daily tasks and execute them without fear of missing any event in your life. 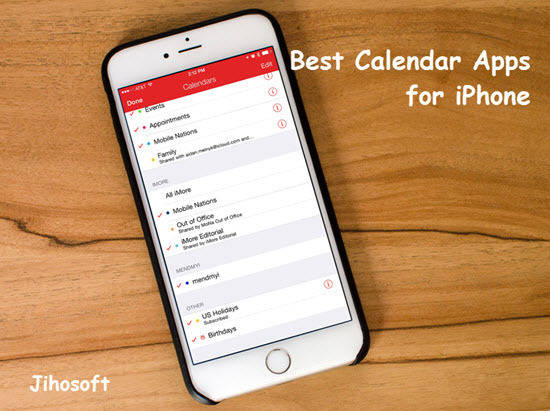 In this article, you will get a glimpse of the 7 best free calendar app for your iPhone. Bonus Tips: If you lost any calendar or reminder on iPhone, you can always use Jihosoft iPhone Data Recovery to get back your important schedule for free. Calendars 5 is perfect in both tasks and events management. It runs on any iOS device so you don’t have to worry about what iPhone model you have. You can create and edit tasks and events both online and offline. It illustrates your day, week and month on the iPhone screen in a fine way. 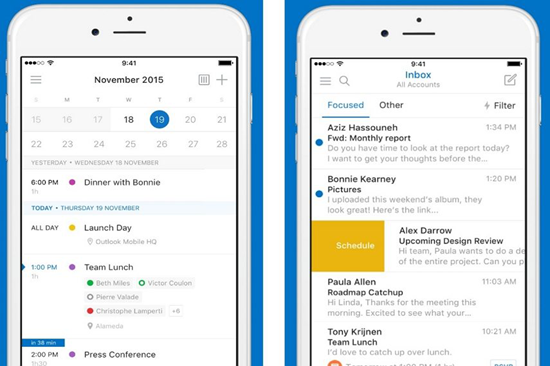 Outlook lets you have all your emails and calendars managing in one place on your iPhone. It is an app provided by Microsoft Corporation and it is free for download. You can quickly swipe an item to schedule, delete and archive. You can share your meeting availability with just a tap. It lets you find everything you need with a new search experience: files, contacts and upcoming trips. Google Calendar is the best free calendar app for your iPhone. It has been integrated with Apple Health to track your workouts and even automatically mark your goals as done. You can quickly view and edit your events. It lets you sync your schedules across platforms and devices, so you can always bring them with you. You can set and reach goals that matter to you. You can create reminders for time-sensitive events. 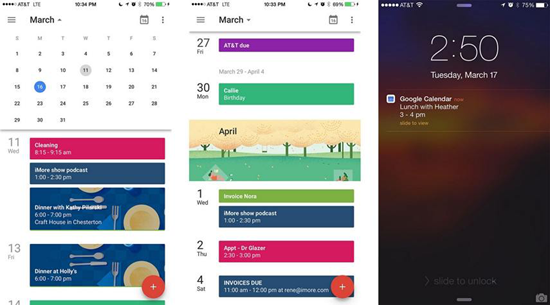 Tiny Calendar works well with both Google and iOS calendars. Inheriting its features from Google and iOS calendar, Tiny Calendar makes these two calendars more accessible and powerful on your iPhone. Natural language input, drag and drop, gestures control and other smart methods to predict your intention and help you create and edit your events more easily. The app supports 7 more standard views: day, week, month and so much more. It can work offline. You can create, edit and delete events when you are offline. Week Calendar works well with iCloud, Excahange and Google calendar. It is one of the most user-friendly apps for iPhone with lots of cool features. Week calendar provides a clear overview based on day, week month or year levels. The app lets you view all the events of one week at once. You can relocate events with a drag-and-drop. 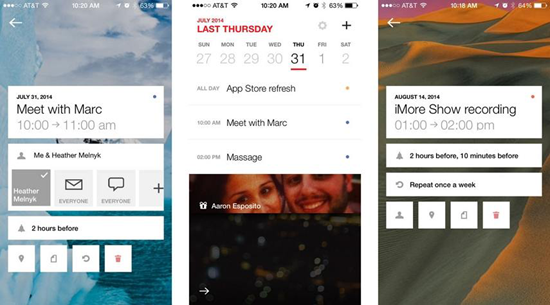 Fantastical 2 is a calendar app on iPhone for people who always have appointments and meetings. 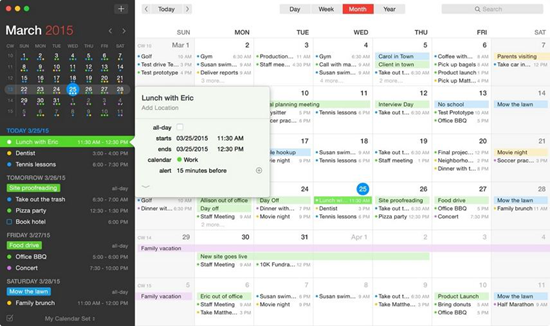 It offers a broad range of different ways to view your calendars and reminders. Also, with the introduction of Siri to the new version, adding an event is easy as talking to a digital assistant. With Fantastical 2, you will never forget an important event again in your life. You will be able to add event details such as a map to show where the event will take place. If you rotate your iPhone to landscape, you will experience an elegant week view on the app. You can tap on a birthday and see the contact information to quickly send a birthday message. 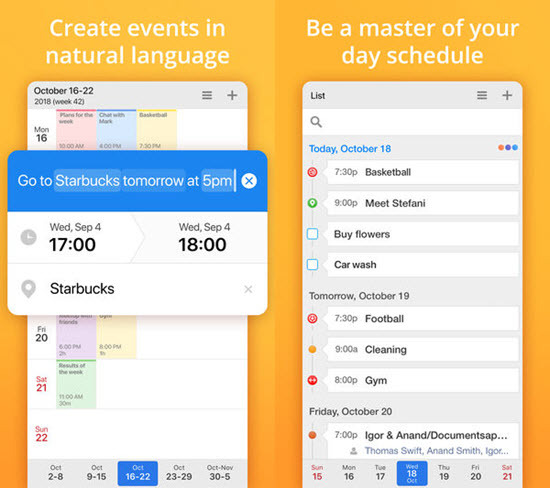 Cal is a free, simple and elegant calendar app for your iPhone. It has a fast and beautifully designed interface. Easy to create an event. Cal recognizes who and where you want to meet just as you begin to type in. Start each day in a fun way with a fresh and cool photo. Connect all the existing calendar services so that you are up to date all the time. There are lots of calendar apps out there that claim to be the best for iPhone, and choosing the one you think is best for you can be a little overwhelming. 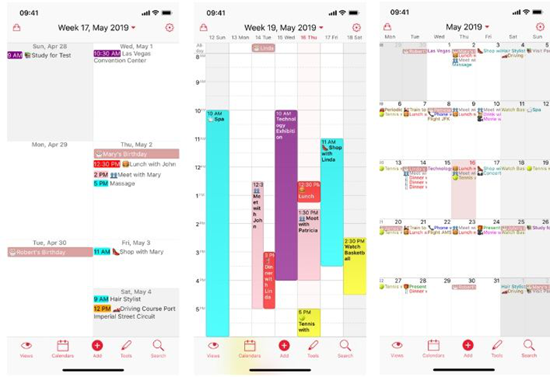 From this article, you should be able to choose any of these best calendar apps to help you with your daily tasks as we have listed details here, as long as it is compatible with your iPhone. We suggest that you can try all these apps we have listed here and then settle on the one you think will serve you right.